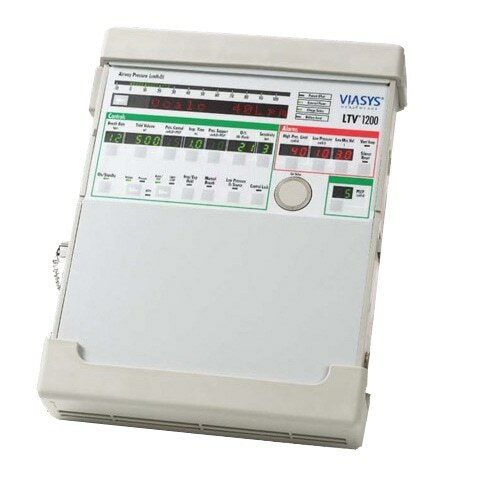 The MR Conditional LTV® 1200 System provides versatile ventilator care for the patient and the clinician. You will receive the same well known features you expect with this ventilator: A wide range of ventilation therapies that meet demanding patient needs including Volume Control, Pressure Control, Pressure Support and Spontaneous Breath Types. The MR Conditional LTV® 1200 system, unlike other ventilators, is a complete package, engineered specifically for use in the MR environment. The MR Conditional stand, AC power adapter, 15’ patient circuit and laminated safety card work together in a fully integrated system. The MR Conditional LTV 1200 system provides complete critical care ventilation in a small, lightweight, portable system.